Under new leadership, China’s securities regulatory agency floated a slew of rule changes this week aimed at bolstering the country’s ailing stock markets, rattled by the slowing economy and trade tensions with the U.S. The China Securities Regulatory Commission (CSRC) said Friday that it plans to revive a practice allowing brokerages to connect their trading information systems with those of other financial institutions, which could help investors conduct high-frequency trading, or algorithmic trading, in the stock market. Such practice was banned after the 2015 stock market meltdown that wiped out $5 trillion in market value as regulators blamed it for providing channels for risky high-frequency trading and excessive leverage. China’s stock market booked the world’s worst performance last year and has remained sluggish so far this year. The previous day, the CSRC also unveiled a series of draft rules designed to relax investment controls and shore up stocks. The new rules include scrapping an automatic margin-call threshold, allowing more types of collateral to be used for certain loans, lowering capital requirements for riskier assets and adding more investment options for foreign investors. The new rules came days after Yi Huiman was appointed the new chairman of the CSRC, replacing Liu Shiyu, who insisted on tight regulation of the market. Market analysts said the measures will relax controls on securities companies’ investments while encouraging more capital flows into the market to boost stocks. 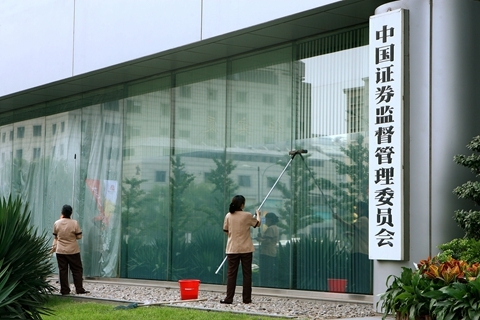 “With the development of the securities market and rising participation of mutual funds, insurers and other institutional investors, the traditional manual-based operations are no longer meeting the needs of stock-investment management and risk control,” the CSRC said in a statement on its website Friday. The revised trading system rules, with stricter requirements on brokerages and related operations, are open for public comments, the agency said. 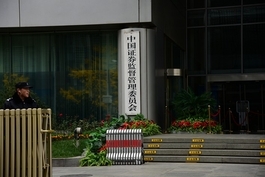 Xie Chunsheng, an analyst at Zhongtai Securities, said the resumed trading system connection between brokerages and other institutions will benefit high-frequency trading and revitalize the market. According to the draft rules released Thursday, the Shenzhen and Shanghai exchange are studying scrapping the requirement that a margin call must be made if the stock’s value falls below 130% of a loan’s value. Last year a pledged-share crisis rattled the market and forced authorities to step in with rescues. 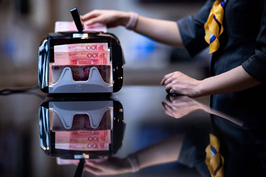 The securities agency is also considering broadening the types of collateral that can be used for margin trading and short-selling and lowering capital requirements for riskier assets of securities firms, according to CSRC documents. The CSRC also announced a plan Thursday to combine the Qualified Foreign Institutional Investor (QFII) program and its yuan-denominated sibling, the Renminbi Qualified Foreign Institutional Investor (RQFII) program. Foreign investors using the two in-bound programs will be allowed to invest in more Chinese financial assets including securities in the over-the-counter equity market, private funds, bond repurchase agreements, financial futures, commodity futures and options.